According to Diabetes Canada, 3.4 million people live with diabetes and approximately 5.7 million are prediabetic. Within the next decade, the numbers are expected to rise to 5 million and 6.4 million respectively. Older adults who want to prevent diabetes should avoid eating the following unhealthy foods. An occasional ice cream cone or sundae is relatively harmless. However, seniors must realize the popular snack food is full of carbohydrates, fat, and sugar. The combination gives ice cream a glycemic index rating of 61. When made with whole milk or cream, half of the fat content is saturated fat, which increases cholesterol levels. A steady diet of ice cream also increases the likelihood of gaining excess weight. Obesity and high cholesterol levels raise the risk of developing insulin resistance and diabetes. Diabetes is just one of the many health issues older adults are susceptible to. Seniors can face a variety of challenges as they age, many of which can be mitigated with the help of professional in-home caregivers who provide high-quality elder care. Toronto families trust Home Care Assistance to help their elderly loved ones age in place safely and comfortably. Bacon, deli meats, hot dogs, and sausages have high levels of fat, salt, and nitrites. The ingredients have the potential to raise blood pressure and cause other cardiovascular issues and weight gain. Regularly eating these types of meat raises the risk of diabetes development by 51 percent. Consuming just three ounces of red meat raises diabetes risk by up to 19 percent. Nutritionists recommend restricting red meat intake to once a week and eating plenty of poultry, eggs, and fatty fish. The majority of instant, boxed breakfast cereals contain an abundance of sugar. A one-cup serving of popular sweetened cereals may have up to 15 grams of sugar and 28 grams of carbohydrates. Even unsweetened corn flakes have a glycemic rating of 84. Seniors should choose cereals with approximately one gram of sugar and 20 grams of carbohydrates. 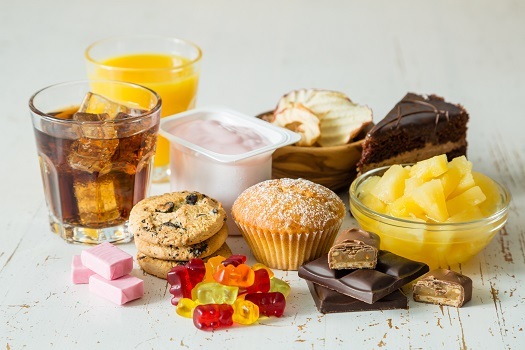 Fruit juices, sodas, and commercially prepared baked goods are typically high in sugar. When regularly included in daily diets, these foods increase the risk of unnecessary weight gain. Artificially sweetened foods are also not recommended. Saccharin wreaks havoc on the digestive system and interferes with the actions of healthy gut bacteria. Many older adults require assistance with giving up unhealthy foods and preparing nutritious meals. If your aging loved one needs occasional help with bathing, grooming, cooking, or other basic household tasks, or if you need time to attend to important personal matters, reach out to Home Care Assistance, a leading provider of live-in and respite care. Toronto seniors can maintain their independence while living at home with the help of our reliable respite caregivers. White bread is easily digested and considered a refined carbohydrate. During digestion, the gastrointestinal system rapidly breaks down the bread into sugar, which may overload the bloodstream. Commercially available bread also contains ingredients that lead to weight gain. White rice is another food with a high glycemic index rating. When a meal contains white rice and other high glycemic foods, the body undergoes high glycemic overload. The pancreas must then work harder to manufacture and release insulin to maintain normal blood sugar levels. In time, insulin-secreting cells in the organ fail to function properly and diabetes develops. Diabetes often leads to a wide variety of serious medical conditions in older adults. Living with a serious health condition can make it challenging for seniors to age in place. However, they can maintain a higher quality of life with the help of professional live-in care. Toronto seniors can benefit from assistance with meal prep, bathing, transportation to the doctor’s office, medication reminders, and much more. To create a comprehensive in-home care plan for your aging parent, call Home Care Assistance at (416) 488-8777 today.